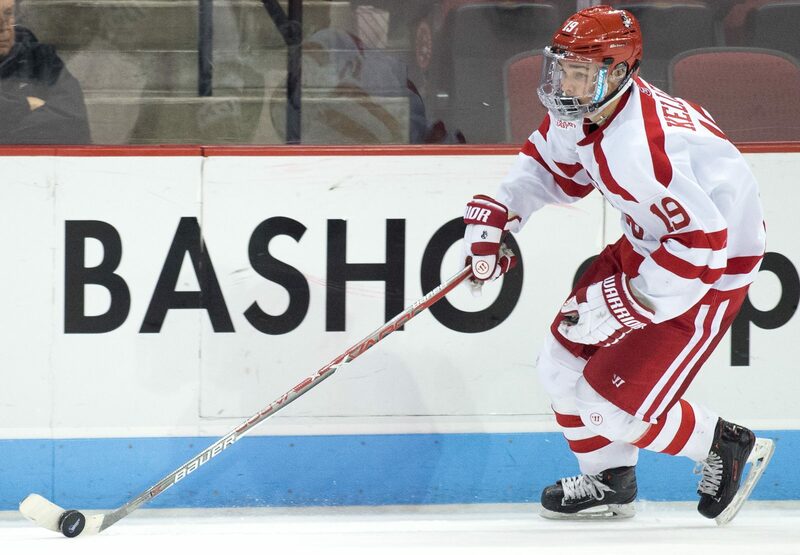 The Charlie McAvoy era is over for the Boston University men’s hockey team. 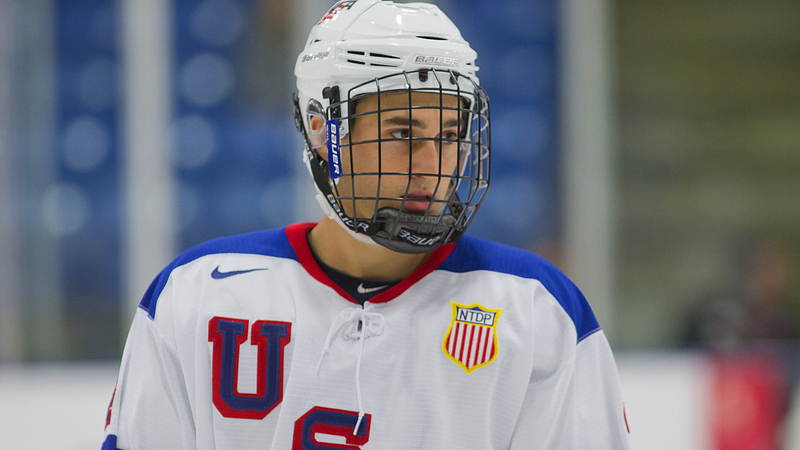 The 19-year-old defenseman has signed an amateur tryout (ATO) contract with the Providence Bruins, the AHL affiliate of the Boston Bruins. 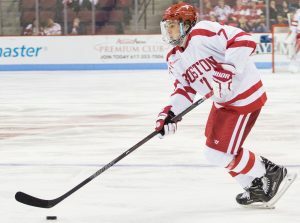 Across his Terrier career, Charlie McAvoy earned a Hockey East First-Team nod after his sophomore season and recorded 51 points in 75 games. Perhaps McAvoy’s biggest moment, though, was winning a gold medal with Team USA at the 2017 World Junior Championships. He was an assistant captain for the red, white and blue, starring in the title game against Team Canada. Upon signing, McAvoy becomes the second Terrier to pro early following the 2016-17 season. Forward Clayton Keller signed on Sunday with the Arizona Coyotes, making his debut one day later against the St. Louis Blues. In connection with the Bruins, early reports indicate that sophomore forward Jakob Forsbacka Karlsson, Boston’s second-round pick in 2015, is undecided on whether to turn pro or not. Lastly, McAvoy was Boston’s first-round pick in the 2016 NHL Draft, always placing him on a fast track to the big show. Bruins have yet to determine whether McAvoy will play in the NHL this season. One game will start the clock. The 2016-17 season may be underway, but that doesn’t mean that Terrier head coach David Quinn and his staff aren’t still recruiting. 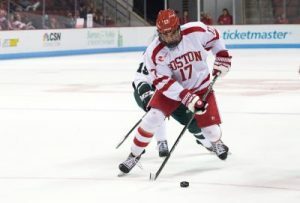 The Terriers seem to have landed another big name, as Jeff Cox of SB Nation tweeted out that ’98 defenseman Kasper Kotkansalo has committed to Boston University. He will be eligible to join the Terriers as early as next season. Hearing BU has received a commitment from late '98 LD Kasper Kotkansalo. Playing with Sioux City in USHL. Won Gold Medal w/ Finland at U18s. The 6-foot-2, 190 pound blue-liner is currently playing with the Sioux Falls Stampede in the USHL. It is his first year playing hockey in North America. Kotkansalo, who is a top prospect for next year’s NHL Draft, also won a gold medal with his native Finland team in the U18 World Junior Championship last year, notching four assists and a plus/minus rating of +5 in six games. Kotkansalo is a hard-hitting defenseman with offensive upside, totaling 19 points in 48 games with Blues U20 of Jr. A SM-Liiga in Finland last season. Current BU defenders Charlie McAvoy and Dante Fabbro are known for contributing on both ends, so it seems that Quinn and his staff may have a preference for defenders who can score points on any given night. Kasper Kotkansalo, a native of Espoo, Finland, leads Sioux Falls with 3 shots. Stampede goalie Jeremy Swayman has 12 saves.